Discussion in 'Star Wars: The Last Jedi' started by SWNN Probe, Feb 24, 2018. SPOILERS for The Last Jedi novelization! Still it's a very intriguing opening line and I'm all the more interested in the novel for it. 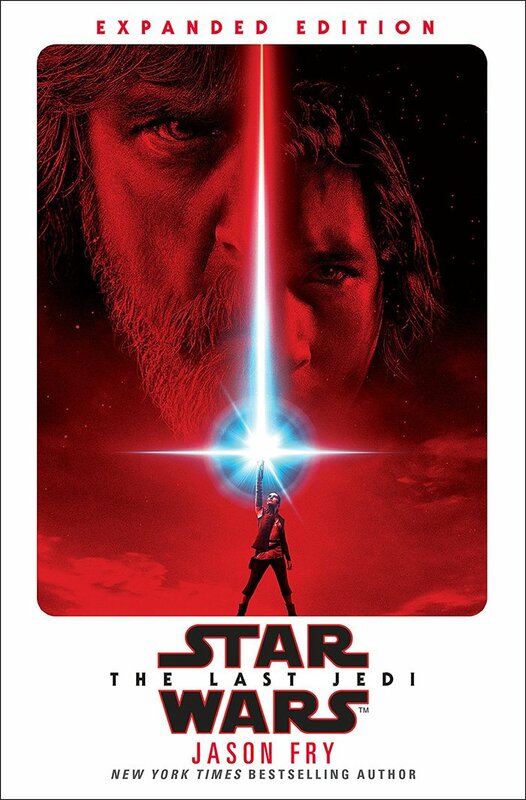 Hopefully, the book will really let readers into the mind of Luke Skywalker, revealing his inner thoughts and deeper motivations behind his actions in the movie. Mark did a fantastic job in the movie, but this is an advantage that the book medium has over film and I can't wait to experience it. As you know The Last Jedi novelization will feature scenes from alternate versions of the script and other additional content, which makes it a must read. The decision to move the book's release after the release of the movie seems like a good move, since it's almost certain that it would have leaked earlier (as it happened just now) and many of the movie's twists would have lost their weight. March 6 can't come quick enough! I kind of wish he had a husband in this excerpt just to annoy some dudebros. We all know Biggs was his first crush. I always thought his real crush was Han. 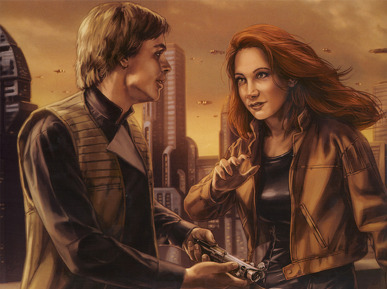 Still hoped it was Mara Jade but Timothy Zahn blasted that hope into oblivion. This sounds so great ! And now ... so,this is just me, ok ? I'm so glad it wasn't "Mara Jade". It was just a dream. I don’t know why this is getting so much attention? 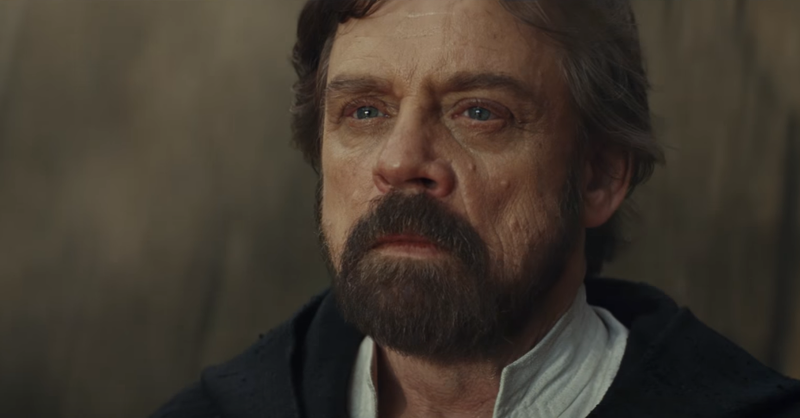 What would really excite me is if Luke woke up after the events of TLJ and we discovered that entire film was just a dream. That would be the only option to bring me back for IX. I doubt it will happen. All in all the novel adds salt to the wound. Luke died alone, and he could have been family man. Also Leia blames not just Snoke, but Luke to, for what has her son become. Additional burdeon on Luke's soul for the end . Additional buredon on Luke's soul. Rest in peace Luke Skywalker. This guy called Luke in TLJ novel and movie is just an imposter. Maybe one day we will learn his real fate from the master George Lucas! Luke blamed himself, not Leia. Its all set and done, and clear now. Luke has failed in life , and died alone. Leia has failed,Han has failed. Their son Ben, last of the Skywalker/Solo bloodline was soft and beautiful kid, jet within himself always a monster. From the childhood he had enormus power ,he destroyed things around the house,crushed everything, they segregated him(almost like Elsa from the Disney Frozen who had magic powers), like a weird thing. Novel says that Ben, as a child ,has heard how Leia and Han , his own parents, behind the door talk about him as a monster. He is lost, but the Rey is ultimate tool of the will of the Cosmic Force,another thing we learned from this novel. Rey has destiny to heal the beast, to make him man, and to bring balance by, obviously, crushing evil in him trough enormously powerfull bond, love. Its all reconstructed now . And I am deeply sad. 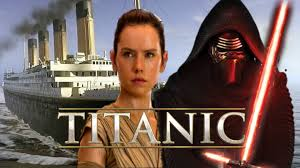 Such high price payed, to get Galactic Titanic. Their son Ben, last of the Skywalker/Solo bloodline was soft and beautiful kid, jet within himself alwas a monster. From the childhood he had enormus power ,he destroyed things around the house,crushed everything, they segreagted him like Elsa from the Disney Frozen, like a weird thing.Novel says that Ben, as a child ,has heard heard how Leia and Han talk about him as a monster. Rey has destiny to heal the beast, to make him man, even perfect, and to bring balance trough, obviously, crushing evil in him trough enormously powerfull bond, love. Its all reconstructed now . And I am sad. Have you read the book or is all this assumptions based of some guy on Reddit who appears to is leaking certain parts of the book with out context. This is the movie all over again: people judging it because someone leaked them the spoilers. Now they are judging the book, because someone leaked them the spoilers. Basically, judging the work of art through someone else's eyes, without any context within the grater story. Its all reconstructed now . And I am deeply sad. So high price to get Galacatic Titanic. yes, we get a full failure of Luke, even blamed by his own family. While we get overpowered super Rey who is not allowed to fail at anything. to play the Devil's advocate, that is Kylo's pov. The Resistance Broadcast - Artoo Done Too and Episode IX Art Concepts LEAKED! EP IX title leaked by the official Star Wars Spain? ?